Located at the south side. 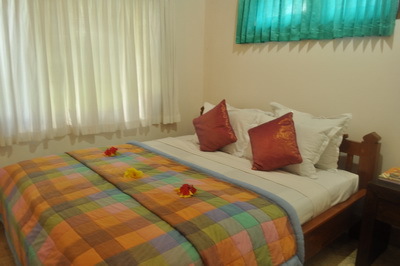 Room with double bed for two persons. Completed with night lamp and air conditioner. Nice view if you look up at the window.